Visiting the futurelab offices recently, I found out about their brand new resource 'educationeye', that went 'live' literally a few days ago. I'm always looking for articles on research, best practice, commentary - it looks like this will help find the answer. 'educationeye' brings a wide range pf exciting, relevant and useful innovations which are selected from the best of the web and updated daily. It maps hundreds of the top educational websites, blogs, forums and practitioner case studies. With the ability to save your own favourite innovations, futurelab's favourites, customisable email digests, and a widget version (see link in right hand column) - it is invaluable. I really do recommend a 'dip' into educationeye - there is some fascinating stuff there! 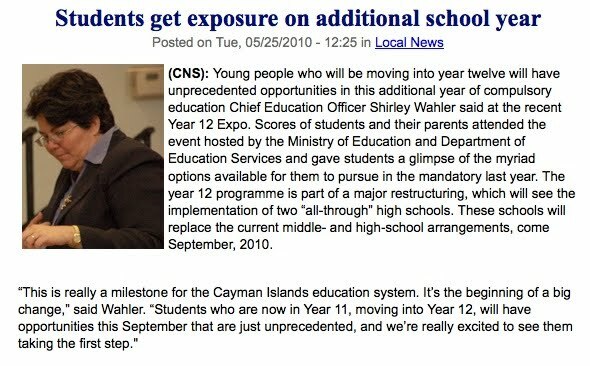 I was really pleased to read a news story on the Cayman News Service site, outlining changes to the education system next academic year. The outline planning for this strategy started when I was working in the Ministry of Education as Strategic Education Adviser. It is really great to see that implementation has started. To quote the extremely talented CEO; Shirley Wahler, “Students... will have opportunities ... that are just unprecedented". I know masses of work has taken place behind the scenes by a fairly small number of people, but it is really fab to see really good ideas become reality. This is one initiative that other countries in the region will be watching with interest. Well done to the education folk in the Cayman Islands. Visiting a small cafe in London last week, the most sought after place to sit was a corner full of soft sociable seating. (Although the photograph shows it empty, I had to wait ages to take it.) A mixture of bean bags, soft chairs allow people to chat, discuss and work. Typically I have seen teenagers using laptops were on the cushions, and informal business meeting occurring on the chairs simultaneously. The huge link with the outside allows loads of natural light. These spaces are just so popular. Lots of schools are considering creating a variety of small social spaces just like this, not just as social spaces but for work as well. Many agree that some young people do not always work most effectively when sat behind a desk, but as they do at home. Whilst, obviously it depends on what task they are doing, most prefer to be comfortable. Don't we all! Going along towards Tower Bridge I was taken by these inflatable rooms placed in the park. They were apparently being used for a young peoples dance event which had many people participating. They were light, airy and the semi transparent walls hinted at the activities taking place inside. They are very simple, but their flexibility, adaptablity and versatility have the potential to be so fabulously useful. You can really quite imagine them being used to support learning projects away from school or school community events. A learning space that you take with you. And why not? Interactive cycling.... the true experience. I have written before about the interactive gym bikes by Trixter - but l recently tried them for real. In my last post I praised their 'cool' design and my thoughts about how effective they would be to make PE lessons increasingly fun and effective. I arranged for them to be at a small conference day I organised. After a morning of very focused inputs it was a really good opportunity for people to see and try some new kit and move those limbs. They drew a lot of attention from the delegates there and I think almost everyone tried them. I thought that they looked fun, but in reality they were so much more. Following the mountain bike race track on the screen in front of you, with pedalling getting easier or harder depending on whether you were going up a hill or not, your steering affecting your positioning on the track, it was very easy to totally forget that you were on an exercise machine, especially when 'racing' against the bike next to you. I find gym static bikes dull and boring - not this one however, it was great and became a real talking point. They would be just fab in schools! Unfortunately, whilst I was really enjoying taking part, what it did reveal was that, by lap 3, I was no where near as fit as I should be - oh dear! A great post was posted on The Third Teacher blog, noting the result of a visit to the oWp/p Cannon Design offices by students of the Academy of Global Citizenship. 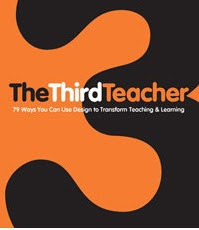 oWp/p / Cannon Design is the driving force behind The Third Teacher. The resulting write up describing their thoughts for future learning environments is a delight. Their thoughts are published below in full. "It was morning and the office was quiet. People sipped their coffee and tapped at keyboards. We knew they were coming, but we couldn’t have guessed how much energy and knowledge they would bring with them. Then, at 9:45 am fifty students from the Academy for Global Citizenship (AGC) arrived at our office for a tour and to present their work to us. The children had been working over the past several weeks on designing a classroom of the future. They brought models, drawings and writing that illustrated their visions of a redesigned classroom. The classrooms they created were inspired by delight in learning as well as knowledge of how they learn best. Students designed places for fun and movement as well as places for quiet, thoughtful moments. They proposed hammocks for resting and "calming down," tree house libraries for a quiet place to read and "fireman's poles" for getting from one floor to the next. One student designed a math trampoline; you could bounce on the answer "so you could exercise while solving math problems." Many students designed ways to connect with nature while at school. Their models showed skylights or roof windows to provide natural light in the room and let students "see birds flying by, clouds passing" and "to see it rain." One student's classroom included a bubbling fountain with a fish pond; she explained that "the sound of the water would be soothing and we can learn about the fish." Another student offered an idea about a trickling waterwall that would help to cool the room when it got too hot. AGC students designed classrooms that reflect that they learn everywhere, not just in the classroom, not just while sitting at a table or desk. They created active learning environments. When do we start to separate work and play? Why can't we play while working and learn while playing? Somewhere between kindergarten and 2nd grade, we start asking students to do focused work and to save the play time for the 20 minute recess break. The students of AGC showed that they want to learn everywhere: in their classrooms, at home, outside and even in an architecture office." For those who do not know this resource, I do really recommend it. Regular readers know that I have referred to it a number of times. The Third Teacher should really be with every teacher and educator. If it does this for blackboards - I do wonder what it does to teeth? I've been working with a variety of groups all over the UK recently. I can't help but notice how some groups work so differently from others. In some, where despite people not knowing each other very well yet, they are just a 'happy' positive groups. It is all smiles, the group is getting to understand each other, (I hate the word "bonding") and everyone is listening to each others comments. Questioning and alternate views are respected and positive creative ways forward are found, including to some very difficult and challenging issues. It really is fun and professionally rewarding to be present. We have all worked in other types of groups where negativity is the first battle to be won. This can be induced by people who do not fully understand the project, see no benefit in change, or who want an easy life. However, the impact of negativity on progress made or work achieved can be dramatic. Meetings become hard work and there are always a few who begin to 'lose the will to live' due to frustration at lack of progress. This happens everywhere of course, not least in schools. We all know the impact of a teacher, (and yes, even Headteachers), who are 'in a bad mood' for no apparent reason to the group in front of them. The result is everyone tenses up. I have pleaded guilty to this myself at times, although hopefully I didn't do it often. Each meeting, or lesson is a new event carrying on the learning from the last one, even when some people do not agree with each other. 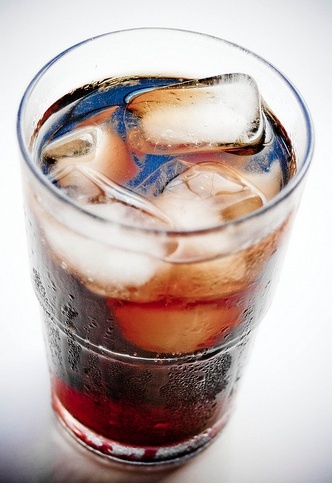 Each session deserves a positive and fresh start. (And no, I am not advocating 'happy clappy, scream with joy sessions' before I get misinterpreted.) When teamwork is strong and people are being constructive, whatever their views, it really does make a massive difference to progress made. Business environments work: not always! A number of sensible people focused on designing education environments look at business venues and other places. Many are just great places to work - but not always. I have worked a lot recently in one environment - and I always think of a factory office. It is just rows of desks and monitors with almost no break. Where are the different environments - where are the break out spaces, where are the alternative forms of furniture? Surely we all know that just rows of desks don't work all the time? It doesn't work in schools, why would it work for adults? Election - education : priority - learning. 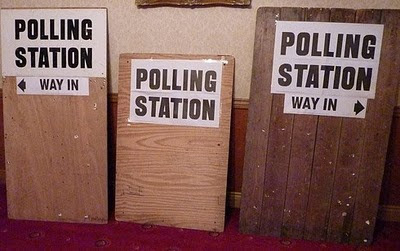 Just a couple of observations about the election really... whilst voting is over, there is still no real conclusion about who will form the new government. I just hope that whilst all the discussions between parties continue, the key priorities of education, learning and aspirations for our young people remain very high on the agenda. Our young people really do have to have the absolute best opportunities and facilities to support focused and appropriate learning if they are to really compete internationally in the 21st century. I just hope that, with a hung parliament, this focus does not slip down the agenda! It can't - too much has already been done - but there is lots more to do. On a much more positive note, I have been really amazed just how more interested young people seem to have become in politics recently - far more so than in recent times. I am not sure why this increase has occurred, although several people have attributed it to the television debates between leaders. 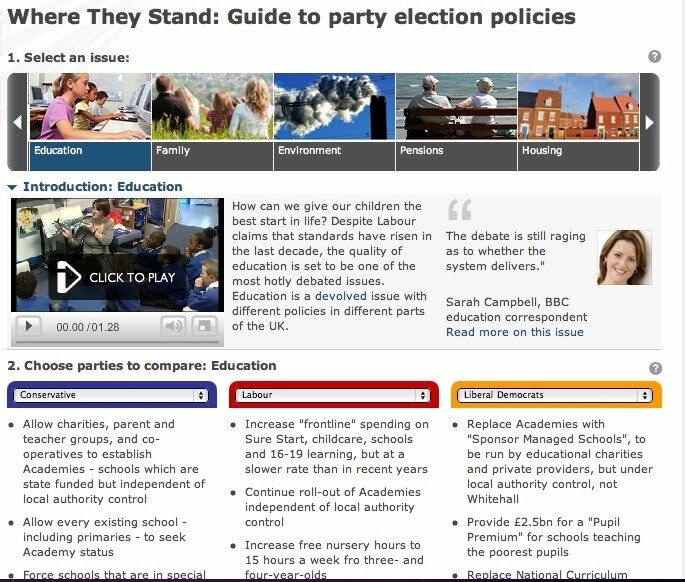 So many people have commented, from teachers, lecturers and family members about this and how young people have been asking about policies, to explain the hung parliament and so on - it can't be a coincidence. This, along with the increase in numbers of people voting, can only be a good thing. One comprehensive school teacher I know reported that she had just heard a student cycling past saying "When I become Prime Minister.. " (No one actually knows what he was going to do though). This increased interest and engagement, whatever caused it, can only be good! I just wonder how some schools are using it as a learning and teaching opportunity? Working in Portland, Dorset today, I was, yet again, blown away by the views... the sun helped enormously. I'm lucky - I have lived in some fab places with some amazing views. I tried not to take them for granted, but it is so easy to do at times. Today this scene had a very positive impact on everyone I was working with. We can't all have the views, but what we can do, as we build new schools, is ensure that everyone has the best positive learning environments, inside and outside, to help motivate learners of all ages. We are so lucky in the UK with the BSF* and Academy programmes, we have the opportunity - we really must not waste it! So people have asked me for a summary of thoughts on education from the major parties, some from overseas. The various political parties have a range of ideas and promises in their manifestos, which are online, so not really sure why I am being asked - I am certain this blog will not become at all political. 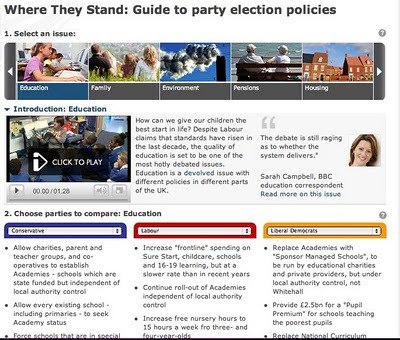 However, the BBC have published a brief summary of key themes... please click here if interested. Whatever happens, education will be under the microscope, everyone has identified education as a priority .... some of the ideas are better than others. We are supposed to be in the 21st century - do the various policies reflect that I wonder..?? I, for one, will be watching the results coming in with real interest. I got asked recently if everything I did was based online or on computer related activity.... - the answer is of course not, it's just stuff I enjoy. However, the joy of having a really young family, as well as an older daughter, is that I am kept firmly grounded in real play/fun things as well as "the other stuff". Flying kites today, although not very well, was massive fun. My daughters loved it and the questions they kept asking were just amazing. We would not have got these through 'watching' kites on the screen; computer or TV. Even my father in law, who had come along, started questioning kite design and wondering whether there were other better design solutions... play became learning and experimentation for adults as well as children. It initiated all sorts of thoughts and ideas. However, after kite flying we looked on YouTube and saw some amazing kites.. this added to the learning, experience, excitement and drama. It continued the conversation for ages. Learning through play is a really important part of growing up for young children... and television just does not do enough. The Key Stage 1 curriculum in UK schools supports fab aspects of experiential play and creativity, but we lose it as children go though the system with our fanatical focus on formal testing. Is this sensible if it works? No one is saying assessment is not important, but we do miss so many opportunities for our young people. Watching the girls play and using their imagination and creativity is just fab and they get so much out of it. I always feel guilty I don't do more of it!